STEPHANIE SAVILLE: How does it feel to be a published author? BHEKISISA MNCUBE: It’s a blissful moment to hold with your hands the hardcopy of one’s book. It hasn’t sunk in yet that my book is actually having a life of its own. It is available nationwide and also in other parts of the world including Britain. The first online copy was actually bought in London, and the second one in New York. SS: What has the reaction been from your immediate family — Professor D. and your daughter? BM: They are basking in the glory of the moment. They have been various celebrations of this momentous occasion. My daughter says she is very proud of Daddy. SS: What has the reaction been from your wider family? BM: The fallout hasn’t begun yet. I am waiting for the hurricane. SS: What has the reaction been from your friends and the general public? BM: The reception of the book has been phenomenal. Thanks to all my friends — on and off Facebook, and WhatsApp. There is an organic challenge going on Facebook, people spot the book in various bookstores, buy it, take a picture and tag me. But, the story of Rivonia K. Naidu-Hoffmeester stands out. She bought the book as a gift for Mama Gcina Mhlophe, the well-known South African freedom fighter, activist, actor, storyteller, poet, playwright, director and author. 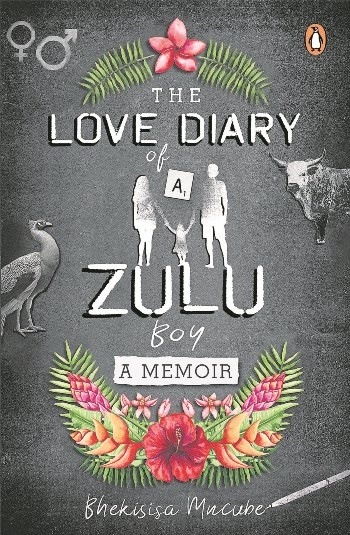 And, this gem from former Witness journalist Nivashni Nair Sukdhev warmed my heart, she says: “Mncube’s book is a real, raw and unashamed account of his life and the events which stood out for him.” I am overwhelmed by the generosity shown so far by the readers of The Love Diary of a Zulu Boy around the world. SS: Is there another volume lurking in the wings? BM: It’s too early to tell. I am just soaking in this beautiful moment and enjoying it. SS: Anything else you want to say to Witnessreaders? BM: The Witness is my spiritual home. It is here where I honed my writing skills a decade or more ago. It is also here where various shortened versions of the book were first published. I am grateful for the support. SS: I want to ask about the process of writing for you. What effect has recording these memories in writing had on you, as you wrote them and as people read them? And is there any feeling of vulnerability in writing about your conquests, or is it all male bravado? Be as honest with me as you are with your reader, dear Bheki. BM: I write to unburden myself. The genesis of my writing journey began in 1993 after the brutal killing of Chris Hani. At the time I was registered for communication in English A. The lecturer had volunteered her time for all those who wanted to improve their writing. I took up that opportunity with both hands, and then boom, Hani was killed. I wrote 10 pages on the effects of Hani’s death, filled with vitriol. Despite the general doom and gloom that pervaded the nation, after writing my thoughts down I felt I could handle the untimely demise of my hero. The second time writing saved me was when I underwent trauma counselling in 2006 to deal with the negative effects my father had on my upbringing. The psychologist asked me to write a letter to my father and tell him how I felt about him. I wrote over 10 pages — unburdening my emotions as it were. She read my letter and used it as a basis for further therapeutic work. Because I still feared my father during those years, we agreed that my letter had to be burnt and ashes buried in a mock burial of my father. After this ritual, I survived the demon called my father. As a result of that therapeutic work, I accepted my family name Bhekisisa which I hated because it reminded me of my father. If you check The Witness archives, I wrote under the byline Bheki Ka Mncube. So, writing for me is part of my own therapy to heal from the wounds of the past. SS: But, why write a romance memoir? Is it act of bravado? BM: Certainly, it is not an act of bravado. These memoirs are actually an apology to women I wronged. It is an apology for half a man that I was. I am no longer the man I grew up as. This romance memoir is to say, I am not my father. My father treated women badly. He managed to father more than 21 children with a variety of women although he remained married only to my mother. For the longest time, my love life mimicked that of my father except that I didn’t father numerous children. In this collection, my father’s misogynist and patriarchal tendencies are laid bare. I am doing it to let the past go. I am writing to free myself from the man I was. It is a statement of intent to say since I found true love and learnt to be a real man, how do I deal about my not-so-cosy past. I then decided to document my experiences — none of it is flattering. I am opening myself into the world to be judged and mocked. I am ready for this. But, deep down in my heart, I know I owe these women an apology. The best I can do is to admit to have been a Casanova. My inspiration is drawn from Andre Brink’s book titled Before I Forget. He wrote beautifully about all women he ever loved. The point really is to humanise the ones who fell prey to the sexual predator. The grand idea is to give these women recognition — to name them so that they can assume their rightful place in history not as statistics but real people. The reason I have stayed the course of writing this memoir is, of course, my wife and daughter. They both don’t know who I was before I received therapy and got the monkey off my back as it were. I am a new man. I am a man of rational thoughts and rational actions, but it was never like this. I want my son to know how not to treat women — learning both from my experience and anecdotal evidence about his grandfather. There is a chapter on my relationship with my son’s mother. It is called “True Love and True Betrayal”. SS: What effect has recording these memories in writing had on you, as you wrote them and as people read them? BM: I feel a great sense of freedom. I write things that people would never put in print. It is a process of renewal so that I can look back and say — yes, I have wronged women but here I am fighting to remain a new man. Since, this process began three years ago I have become acutely aware of my own previous frailty. I somehow feel that I survived so that I can tell tales. Explain to me how come I never got the dreaded HIV/Aids virus with so many girlfriends parked on the same lane? There must have been a greater purpose. I want to look myself in the mirror, and say I like what I have become. I am not a prisoner of my past. My past cannot determine my future. Basically, the message is that despite growing up in an environment that perpetuated patriarchy, one’s own agency can be deployed to change the course of one’s life. SS: And is there any feeling of vulnerability in writing about your conquests, or is it all male bravado? BM: I feel completely naked. I feel judged already. Yet, I feel that I can finally live with myself. OVER the years, Bhekisisa Mncube has written extensively for the South African press, including articles in The Witness and Weekend Witness. He has also written for various magazines and University of KwaZulu-Natal publications. Back in 2001, he was appointed as a columnist for the Witness/Echo newspaper. “My column’s debut made a call for the African National Congress (ANC) to recall the then president Thabo Mbeki. It was a bold move, yet fraught with danger. In December 2001, Mncube joined the then Natal Witness Printing Publishing Company as a cub reporter for the Mirror. “After I had paid my school fees as a cadet reporter, I was quickly moved up and appointed as a political reporter on the main paper The Witness. I resigned soon after my appointment to start my career in the corporate space. “Hardly three years later, I was back at The Witness as a senior political reporter. This move followed a stint at the University of KwaZulu-Natal (UKZN) as a writer/media liaison officer. “In August 2005, I officially left the journalism profession to join the KwaZulu-Natal Provincial Legislature. “However, this was not of my own accord. My life had been threatened. “The threats came after my exposé, published as the Weekend Witnessfront-page story detailing IFP leader Mangosuthu Gatsha Buthelezi’s attempts to seize control of the Zulu Royal House. “The exposé came hot on the heels of a fervent State Intelligence-driven operation ahead of the 2005 controversial ‘Zulus Imbizo’ in an attempt to avoid a return of the KwaZulu-Natal (KZN) province to the abyss of a violent conflict. As part of the law enforcement agencies’ 11th-hour efforts to avoid a bloodbath, Buthelezi’s speech and purported resolutions of the controversial ‘Zulus Imbizo’ written before it took place, were intercepted. “Both the purported resolutions and Buthelezi’s speech were peppered with war talk. These two important documents were carefully leaked to me on a Friday night. As I was stationed in Pietermaritzburg, I had to rush to Durban where an agent of the then National Intelligence Agency (NIA) gave me an envelope full of goodies. I immediately telephoned my then deputy editor, Yves Vanderhaeghen. I said to him: “Stop the presses, we have a scoop”. He did exactly that. The next available opportunity to publish was on Weekend Witness, a Saturday paper. Perfect. It coincided with the actual ‘Zulu Imbizo’. The news scoop laid bare all of Buthelezi’s plans, which amounted to the unilateral declaration of independence of the KZN province. “On the same day, when I attended the said imbizo, I was attacked by the IFP’s Impi. I survived this attempt on my life. With the benefit of hindsight, I shouldn’t have attended the imbizo. I knew how it was all going to unfold. 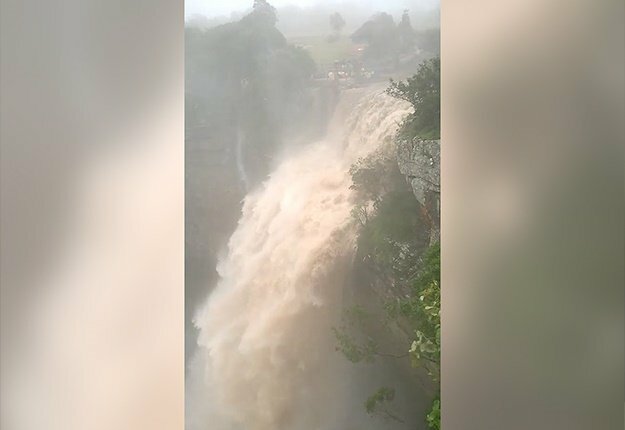 But, as a news junkie, I just couldn’t miss a historic opportunity that had far-reaching consequences for the province of KZN. Two months later, Mncube resigned as a journalist and went on to further his career elsewhere. He is now the director of speech writing services at the Department of Basic Education in Pretoria and is the official speech writer to both the Basic Education Minister, Angie Motshekga, and her deputy, Enver Surty. He also wrote speeches for former president Jacob Zuma on matters of basic education. He holds a post-graduate BTech degree as well as a national diploma in journalism from the Durban University of Technology. At the outset, it is only right that I declare upfront that I have a special reason to be a huge fan of this book. This is partly due to the fact that Bheki Mncube chose me to write the foreword to his wonderful book. I must admit to an enormous pride at seeing this book in print, because I, by absolute fluke, helped play a small part in its genesis. Witness readers can also feel honoured to have had a sneak preview into some of these stories which were first printed on the pages of our newspaper. It all began when Mncube started posting messages on Facebook in which he had a real go at his gardener Thabo, in a very humourous way. He bemoaned his wife’s constant defence of the hapless Thabo and after reading a few very funny stories around this theme on Facebook, and replying to many of his musings vehemently defending dear Thabo, I quipped that he should think of writing these musings as a column for our newspaper. And write Bheki did. After we published a good few of his columns which segued into a wider range of topics, the result is this wonderful book. Once Thabo’s antics and Mncube’s green-eyed feelings towards him had been dealt with, he wrote of his childhood, his years as a student, his time discovering young love and of when he first courted and later married his beloved wife, the wonderful Professor D.
She’s white, by the way. It’s necessary that you know this because much of his musings are on culture — the clashes between Zulu and western culture and the way Zulu culture and custom work. I loved the rich descriptions and interpretations of Zulu culture as relayed by Mncube and I learnt lots of things I previously had only a vague understanding of, for instance, the rituals, the prayers to the ancestors and the reasons for the slaying of various animals, which Professor D. abhors because she is a vegetarian. The book also deals with very serious subjects, ranging from sexual abuse, the minefield of family politics and dynamics, the way men use women, the struggle, mental health issues and others. There are no sacred cows. Broken into easily digestible chapters, each a separate story, it is a perfect dip-into-whenever-you-can read. This brilliant memoir crosses spoken and unspoken barriers in our country, laying bare the elephant in the room, weaving between time and cultural space, holding the promise of great fascination until the last page. It’s a very brave work which cannot all have been easy to write. I admire Mncube hugely for going where many fear to tread. I think it will be read widely. It may even find its way into academia as a notable set work of contemporary literary merit. “In August 2005, I officially left the journalism profession to join the KwaZulu-Natal Provincial Legislature. “The threats came after my exposé, published as the Weekend Witness front-page story detailing IFP leader Mangosuthu Gatsha Buthelezi’s attempts to seize control of the Zulu Royal House.